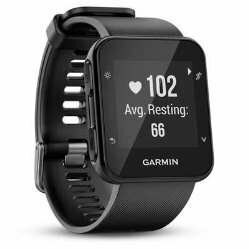 Garmin Forerunner 35 HR - Black.Garmin are a leading worldwide provider of navigation, aviation, marine, outdoor and fitness products. Garmin products are known for their innovative features, compelling design and quality that is second to none. We stock the latest range of these fantastic products and believe they are of the best in their field, making us one of Australia's leading independent Garmin retailers.